Yesterday, the last Sunday of the month, slipped away before I realized I should have written a Spiritual Sunday, 05.2018 post. But didn’t want to wait until the last Sunday of June to share with you all I am grateful for. 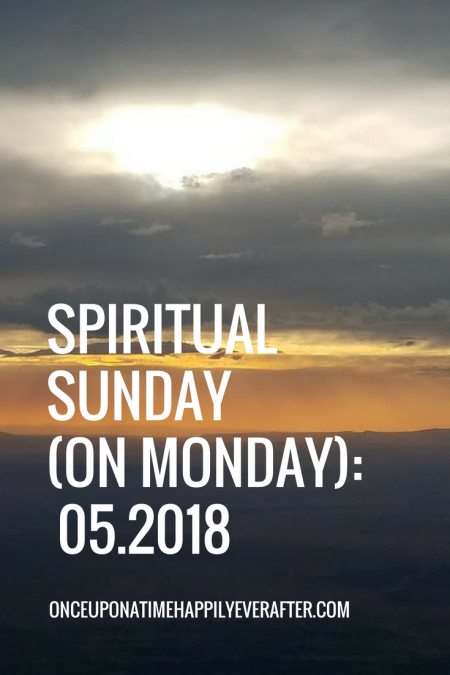 So, here I am writing this Spiritual Sunday 05.2018 post on Monday. Last month, in this post, I wrote about my work toward seeking peace, in addition to all I was grateful for in April. My life continues to be tumultuous. Many would suggest that is just the way of life. Full of ups and downs. There were a few evenings in May, that I struggled to think of something to write in my Simple Abundance Journal of Gratitude. Always grateful for my life, my family, my home. But not gonna lie, there were a few tough days this month. Especially with worry and concern over my daughter Lauren’s health. This past week, I have been with her in Cleveland where she obtained a second opinion for her recent diagnosis of vasculitis/microscopic polyangiitis. Here’s what we learned. In April, Lauren was diagnosed by a rheumatologist with microscopic polyangiitis (MPA), a very rare immunologic disease. She began a course of steroids and chemotherapy to treat the disease early in May. While there is no cure, steroids and chemo can provide periods of remission in patients which may keep the disease from progressing and affecting their organs. Lauren sought a second opinion at the Cleveland Clinic to confirm this diagnosis and treatment plan. So, Lucia and I flew to Cleveland with Lauren on Tuesday and met with Dr. Alexandra Villa-Forte bright and early Wednesday morning. The doctor took a thorough history of Lauren’s life-long health issues, then requested more testing. Additional blood work to confirm MPA. It took 48 hours to get the results back so in the meantime, we drove to Lexington, Kentucky to visit my mom and brother. The test results came back indicating that Lauren does not have MPA but has something called inflammatory bowel disease (IBD), either Crohn’s or ulcerative colitis. While both of these diseases are also uncurable, they are less serious and life-threatening than MPA. Lauren still doesn’t have a treatment plan as Dr. Villa-Forte told her to discontinue the steroids, chemo and a drug called Plaquenil. Now to find out where she goes from here. We sure appreciate the many prayers and good thoughts sent up in Lauren’s behalf. And welcome continued prayers for a clear path for treatment. As I am writing this, we still have a few days left in the month. Hope to finish May on an upturn. Looking forward to a shiny new month. What are some of the things you are most grateful for this month? Do you have any little miracles you can share? Would love to have you leave them in a comment below. Wishing you a good end of the month! Sending prayers your way for Lauren, you, and of course, Lucia. I can’t begin to imagine how hard it is for your child to be diagnosed with a serious health issue, but I know that God is in control and my prayer is that he brings you and your family wisdom and peace in the days ahead. That’s amazing that the first doctor gave the wrong diagnosis. The almost same thing happened to me. A rheumatologist told me that I had lupus and 5 years to live, back in 1985. I didn’t believe him but he became quite adament that I start treatment (steroids) ASAP. I didn’t. Got a second opinion and I’m perfectly fine. Your daughter will be fine. I can tell. I like your idea of a “spiritual Sunday” summary of what you are grateful for in the month. I haven’t started a daily grateful journal … I do try and incorporate gratitude in my morning journal. 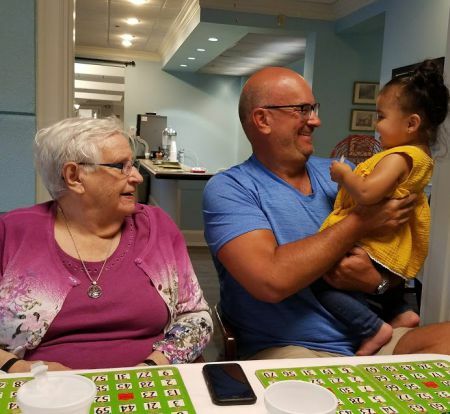 This month felt like it flew by and there are many things I am grateful for… but the one that occurred this weekend is one that surprises me, a bit. I am grateful for amazing circle of friends. We had our official open house at our new home… it was delayed for months because I was dealing with cancer treatment. (I’m fine, just needed my head to be in another place versus party planning.) It was wonderful that we had such an amazing turnout of people (40+) and yes, some arrived in the pouring rain. And then helped wipe off tables and chairs after the rain…. it was planned as an outdoor BBQ and we had a 30 minute downpour 30 minutes into the party. Why my surprise? I’ve always felt that I wasn’t a good friend to people…so why would people come to my party (and in the rain). I have an abundance of good people in my life and for that I am so very grateful! Best wishes for Lauren’s continued improvement. 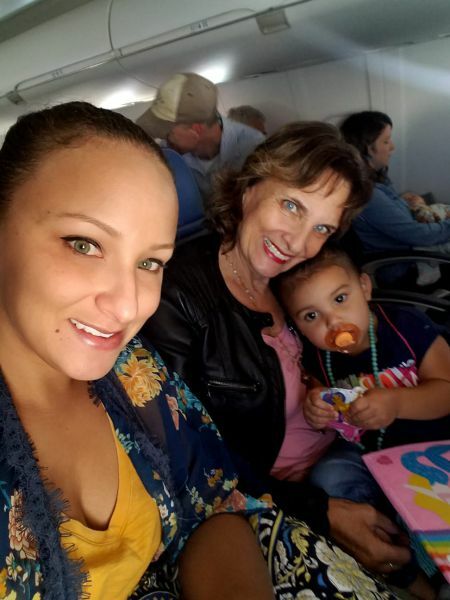 So glad, first of all, that you were able to move beyond cancer treatment and into a mind-set of well being and joy in order to celebrate your new home. I read your post about the fabulous friends who helped you get the party back on track after the cloudburst. An indication of just how well loved you are! I feel like I am not a terribly good friend either. I am a friend up to a certain point but because I am truly anti-social or introverted, there is a point where I have to pull back and hide myself away. If ever you want to link up for a spiritual Sunday gratitude post, let me know. I am trying to do one on the last Sunday of each month, so in June that falls on 06.24. We could link-up together. Or do a blog hop!! Oh my gosh. What a crazy experience! I’m so glad that she doesn’t have the more serious of the diseases! I will send prayers as she begins to navigate the information about her diagnosis.